Based on an Op-Ed originally published in Israel Hayom in Hebrew. A decade after the most severe terrorist attack in human history, that has at once moved the world's largest democracy from a state of peace free of security concerns to a state of on-going war, is an appropriate period of time for a comparative analysis of the difference between the anti-terrorism strategies of both American administrations – Bush and Obama. On the face of it both American presidents dictated the American security forces a different policy, however the difference in the anti-terrorism strategy of the two American administrations does not stem from different world views or different values but rather from the different emphasis, originating first and foremost, from a different perspective on the September 11 trauma. At the basis of both administrations' world view, both Bush's and Obama's, is the belief in the virtues of democracy and the striving for its promotion. 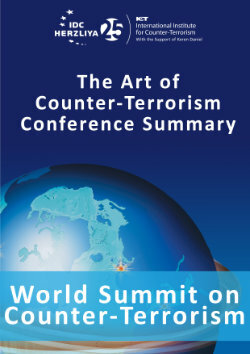 However, while the Bush administration translated this insight into a proactive – offensive strategy meant to bring a government change and promote democracy in problematic countries and regions as part of the campaign against terrorism, the Obama administration translated its democratic liberal world view into limiting the prerogatives and work methods of the American security forces. In doing so, the Obama administration ignored the inherent contradiction between striving to efficiently combat terrorism and the detriment to liberal – democratic values, ignoring the democratic dilemma in the war on terrorism. However, the main difference in the anti-terrorism strategy of both administrations is in the definition of the enemy and the nature of the threat. Here, it seems, the two administrations chose opposing approaches. The Bush administration elected the expansive approach and declared war on terrorism around the world, while the Obama administration takes the narrow and focused approach whose essence is fighting Al-Qaeda and its branches. In this respect it will be noted that when the definition of the threat is too broad it is not focused enough, thus detracting from its efficacy. President Bush's definition created a situation where in the name of war on terrorism the U.S. entered into an exhausting and unnecessary war in Iraq. On the other hand, when the definition of the threat is too narrow it may ignore important aspects and elements of the phenomenon. Thus, the definition of the threat according to the Obama administration ignores the root of the phenomenon of Jihadi terrorism and its global characteristics, blurs the distinction between the pragmatic entities and the radical Jihadist entities in the Muslim world and may harm the motivation of pragmatic Muslims to face and hold a true internal battle with the radical Jihadists. President Bush tried to draw a clear line distinguishing between the “good” and the “bad” and using the stick and carrot method to motivate the various players to prefer an alliance with the good rather than an alliance with the bad. Dividing the world into an axis of evil and an axis of good was anathema to Obama and his advisors and they preferred to replace the dividing line between good and evil with a classification and distinction between “violent radicals” and those who are not such, and later on they narrowed further the definition of the enemy referring to Al-Qaeda alone. Based on the different definition of the enemy between the two administrations, their anti-terrorism strategy was formulated. 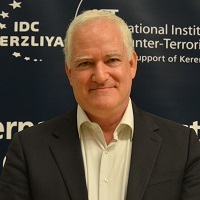 Both administrations attempted to act effectively on two levels simultaneously – reducing the operational capabilities of terrorist organizations by military, police and security activity, and neutralizing the motivation leading the organizations and the terrorists to carry out terrorist attacks. The Bush administration focused on dealing with the military capabilities of terrorist organizations while attacking their installations, bases, financing sources and the operatives, as well as attacking the regimes providing shelter and support to terrorist organizations. The Obama administration, on the other hand, placed emphasis on preventing the radicalization processed in Muslim communities and neutralizing Al-Qaeda's support base. The Obama administration believes that the way to undermine Al-Qaeda's standing amongst its supporters and sympathizers is by resolving the problems and international conflicts exploited by Al-Qaeda to brainwash and incite the masses. President Bush, on the other hand, identified the elements at the root of the motivation for terrorism, in the fundamentalist ideologies creating the platform for supporting terrorism. The question to be asked then is which one of the two administrations is right in its attitude towards Islamists and Jihadists? Is the motivation spurring Al-Qaeda, its branches and its sympathizers around the world some regional conflict in Kashmir, Somalia, Israel, Chechnya or Bosnia, or is the real motive behind the phenomenon of global Jihad a fundamentalist religious ideology striving for the establishment of Islamic Caliphates around the world? On the face of it, it seems that the Obama administration is mistaken and confuses the root causes of Al-Qaeda's terrorism with the instrumental causes exploited by terrorist organizations for sedition, brainwashing and recruitment. In this sense, coping with the root causes over time may bring about the eradication or weakening of the phenomenon of global terrorism. However, dealing with the instrumental causes will not provide a real solution to the problem. Settling a regional dispute, no matter how major in Al-Qaeda's rhetoric, will not bring about the elimination of the organization and will not even result in a significant reduction in its power, as long as the root fundamentalist – religious ideology continues to be spread amongst Muslims communities worldwide, Ayman Al-Zawahiri and his cohorts will exploit circumstances, tensions and various conflicts to recruit supporters and sympathizers. Ignoring the Islamists' – Jihadists' ideology, goals and activity, preaching against anyone who does not accept their radical and dangerous interpretation of Islam, does not bring to true reconciliation between the U.S. or the West and Islam, it only weakens the moderate Muslims who require great courage when facing these fundamentalists. Therefore, the Obama administration will do well in listening attentively to the pleadings of the founder of the Muslim Congress in Canada – Tariq Fatah, when saying: “Please understand there is a difference between Islam as a faith and Islamism which is a political ideology stating that the western culture has to be destroyed.” Without coping with the ideological root causes, the surgical treatment of the Al-Qaeda leaders while employing targeted killings will not result in the disappearance of the phenomenon. The elimination of Bin Laden and his cohorts may provide the United States temporary peace, but it will be the calm before the storm.